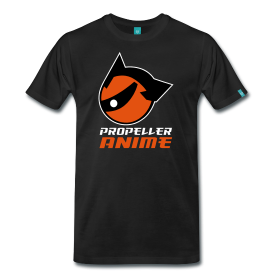 Propeller Anime: Tomorrow, We Party Hard! 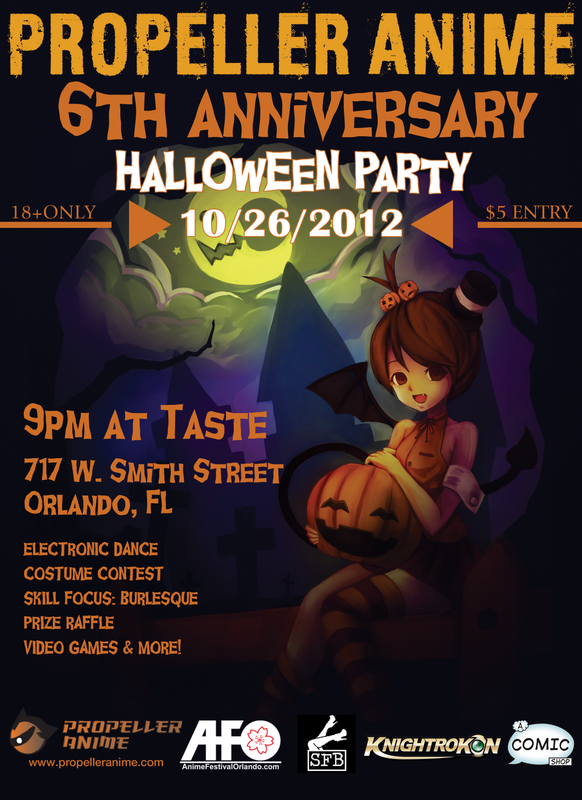 Make sure you are at Taste on 717 W. Smith Street Orlando, FL 32804. 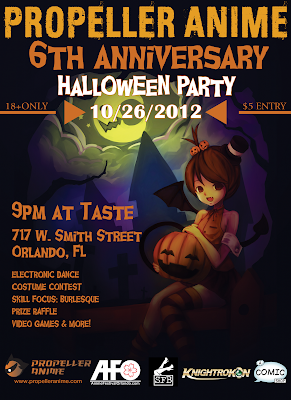 We'll have dancing, cosplay, burlesque, prize raffles, videogames, and more! Taste will have the bar with a late night menu and we look forward to seeing everyone! The party will start at 9:00PM with a fantastic set from DJ Neofaust. At 10:30PM, will be the start of the costume contest. After that, Skill Focus: Burlesque will perform a fun show. 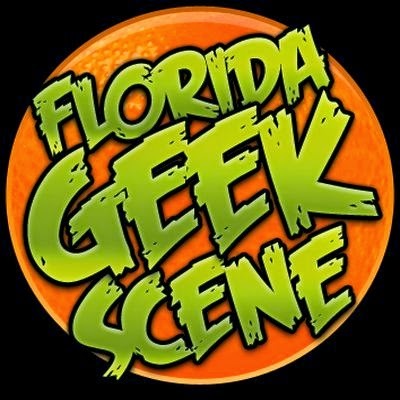 Then, we'll raffle out all sorts of swag and convention passes to Knightrokon and Anime Festival Orlando. Finally, we'll close the night with a performance from DJ Chaotic Logic! It is only $5 cash to get in and that will get you a raffle ticket. (You can also buy more raffle tickets for more chances to win.) Make sure you have a valid I.D. that states that you are over 18 years of age. Other than that, have fun and many of us will be around in case you need anything. Thank you guys for all the support! See you all Friday night!